AAA Rates to Caribbean & Book Online in Minutes! AAA Special Rates to Caribbean! Just Click, Book, and Relax! 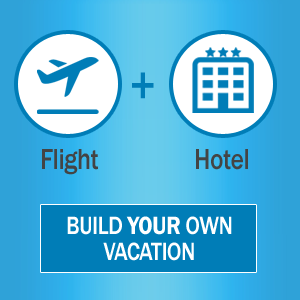 Enter your travel preferences and book your favorite vacation package online. Packages consist of round trip flights and hotel stays. Inclusions, transfers, car rentals, meal plans, sightseeing, and trip insurance may be available as you build your package. Experience the ease and convenience of booking and paying online! ALOHA DAYS are here with exclusive AAA member offers to Hawaii only from Pleasant Holidays! AAA Exclusive Offers:$125 AIR CREDIT per booking $100 Activity Voucher: DOUBLE AAA Member Benefit (up from $50) towards a variety of select activities in Hawaii.These fantastic offers won't last - book by April 30, 2019! Contiki: Epic Global Trips for 18-35 year oldsContiki has partnered with AAA with an EXCLUSIVE deal to save 15% on trips worldwide!With so many awesome options, work with your AAA Travel Agent to find the best one for you!Don't miss out! This offer ends May 31st!Now save 15% on select tours! Fun Awaits Onboard and Ashore: Exclusive AAA Member Offer! Good times. Good people. Good everything. Connect to the real Europe and Britain and live your very own "pinch me" moments in 2019.Limited time offer:Save $300 per couple on airfare on select tours to Europe through American, British Airways, Iberia and FinnairHurry, you must book by May 2, 2019! AAA Exclusive: Double Member Benefit on Uniworld River Cruise - save up to $1000 per couple!